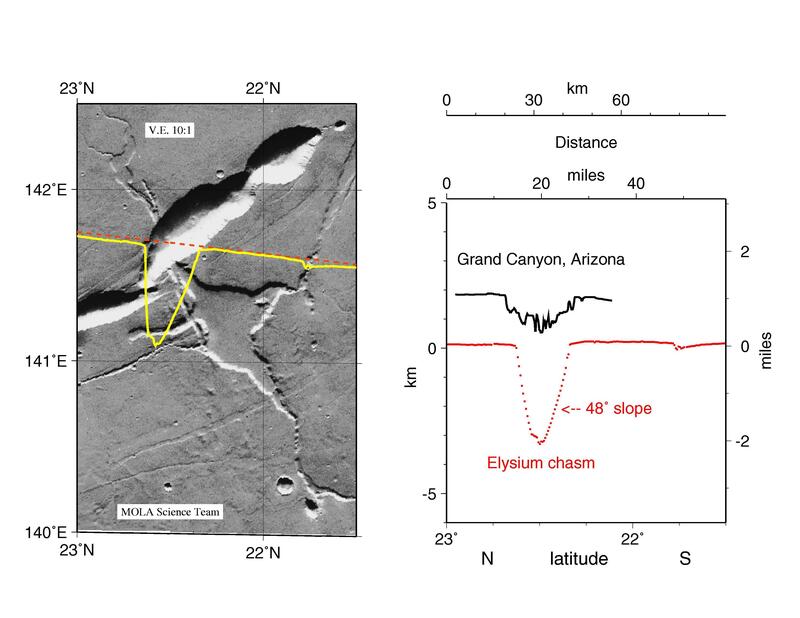 Comparison of the cross-sectional relief of the deepest portion of the Grand Canyon (Arizona) on Earth versus a Mars Orbiter Laser Altimeter (MOLA) view of a common type of chasm on Mars in the western Elysium region. The MOLA profile was collected during the Mars Global Surveyor Capture Orbit Calibration Pass on September 15, 1997. The Grand Canyon topography is shown as a trace with a measurement every 295 feet (90 meters) along track, while that from MOLA reflects measurements about every 970 feet (400 meters) along track. 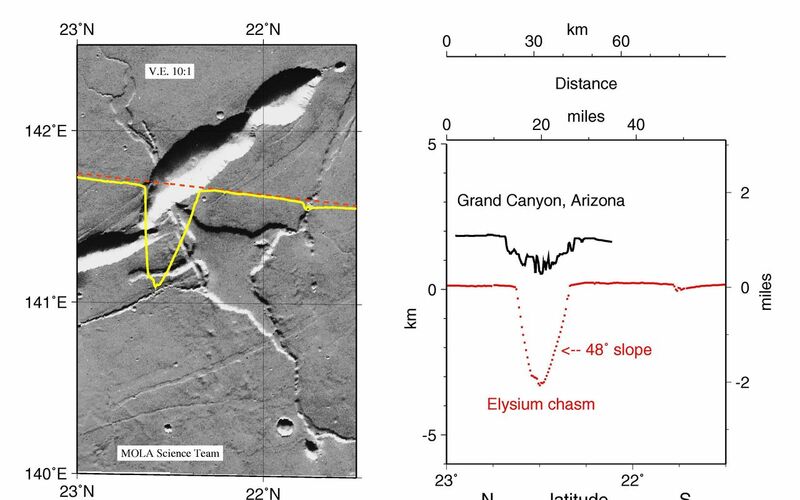 The slopes of the steep inner canyon wall of the Martian feature exceed the angle of repose, suggesting relative youth and the potential for landslides. 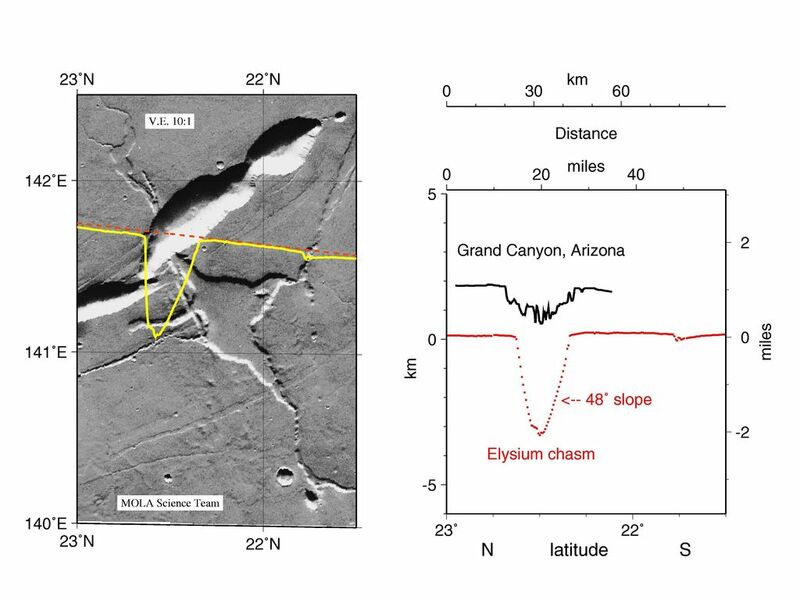 The inner wall slopes of the Grand Canyon are less than those of the Martian chasm, reflecting the long period of erosion necessary to form its mile-deep character on Earth.